Over the years there have been a number of cases where a person was shopping in a store like Home Depot or Wal-Mart, and were killed or seriously injured due to a forklift operators mistake. Forklifts have proven to be an important part of reducing a workers load by transporting materials from one place to another. They have helped reduced the amount of many common musculoskeletal injuries that occur due to repetitive heavy lifting and carrying. However, forklifts that are improperly maintained or operated can result in accidents. OSHA estimates that over 680,000 forklift accidents take place each year. Approximately 9,000 people are injured as a result. Many of them take occur in the workplace or in construction zones, yet some forklift accidents involve unsuspecting shoppers or other passersby. If you or a loved one have been injured due to a forklift injury, you need to speak with an experienced personal injury attorney that can build a strong case, protect your rights and recover the compensation you need to move forward. Over the years there have been a number of cases where a person was shopping in a store like Home Depot or Wal-Mart, and were killed or seriously injured due to a forklift operators mistake. Stores like these often stack heavy merchandise up on high shelves. Forklifts are then required in order to get the products down and this has proven to be hazardous to some shoppers. When these types of accidents happen, big companies get their lawyers involved right away. They will often try and intimidate the injured person, or their family, to sign confidentiality agreements in order to protect themselves. If you have been injured in a forklift accident, or in another similar accident, contact The Hoffmann Law Firm, L.L.C. right away to discuss your case. There are a number of factors that contribute to forklift truck accidents. It is common that the person operating the forklift has a lack of training or has had improper training on how to run the machine. Poor maintenance and the age of the forklift, are two other common contributing factors. 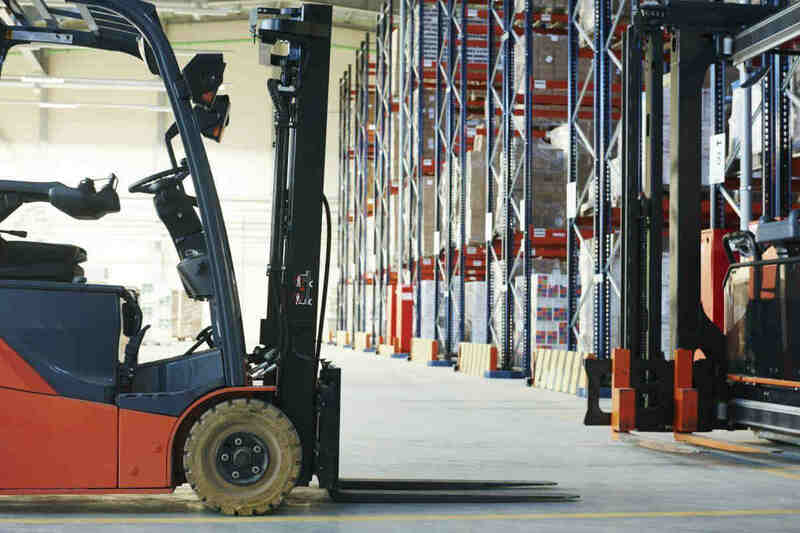 In a warehouse or store setting, customers have been injured or killed because the forklift operator was driving erratically, riding with an excessive load, or was backing up improperly. In other instances, the pedestrians and the working forklift had not been properly separated. The operator had not kept people at a safe distance by restricting them from entering the area where the forklift was operating. When the negligence or recklessness of another causes injury or death, it is important to contact a personal injury lawyer immediately. As one of the preeminent firms helping victims of St. Louis forklift accidents, we understand how to build strong cases. When you hire our firm, you can be confident that everything will be done to protect your rights and recover the compensation you need. To increase the chances of a positive outcome, our firm prepares every case as if it will go to trial: investigating the forklift accident, interviewing witnesses and gathering evidence to prove the other person was at fault. We are fully prepared to handle the most complicated cases. If you were injured or lost a family member in a forklift accident or truck accident, call our 24-hour legal help number at (314) 361-4242 or toll free (866) 763-6433.